Greenleaf Lawn was founded by Jamie Nix and Josh Mathias. 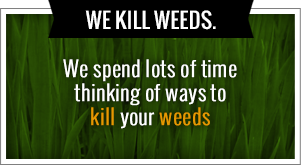 As friends, they teamed up to change the way people think about what lawn care services could be and should be. They have both been working in the industry since 1998 and are native to Tulsa, Oklahoma. Since that time, Greenleaf Lawn has become the number one lawn service of choice for Mathis Brothers, Feline Specialties, Klein Tools, Slim Chickens and other leading companies in and around Tulsa. Jamie is a graduate of the University of Tulsa and has a great passion in assisting the people of Tulsa to beautify their lawns. He is happily married and his time is devoted to studying how to improve his skill and craft. 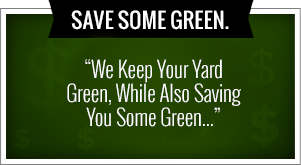 His goal is to bring the best quality service to every home and lawn in Tulsa, Oklahoma. As the president of Turf Enhancement, Josh is focused on making sure that Greenleaf customers receive the best lawn care every single time. Josh is happily married with one beautiful child and one on the way. He is known throughout Tulsa and surrounding areas as being the “Fastest Weed Wacker in the South.” With his skill and knowledge in turf enhancement engineering and Tulsa weed control, he is one of the main reasons why Greenleaf Lawn has been so successful. A Cut for the Kids: Both Jamie and Josh are passionate about the local schools here in Tulsa, Oklahoma. This is the very reason why they have set up the “Cut For the Kids’ program. The program works by Greenleaf donating a portion of all the revenue made from any new services to the classrooms of local Tulsa schools. You can find out more information about this program by calling today.